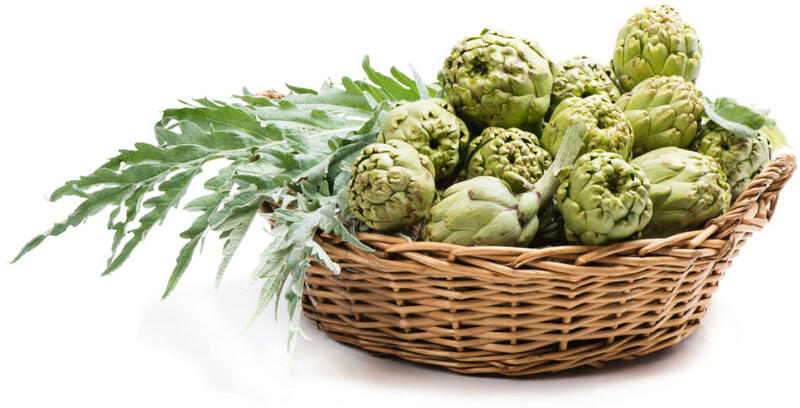 Although the first artichokes had very thorny exteriors, someone still had the courage to discover they were not only edible but their flavour was worth the prickles and stinging. This unique and interesting-looking armoured vegetable is shaped like a king’s crown, with leaves very similar to scales, protecting a tender sweet heart in the bud’s centre. Hence its title ‘King of the Vegetables’. 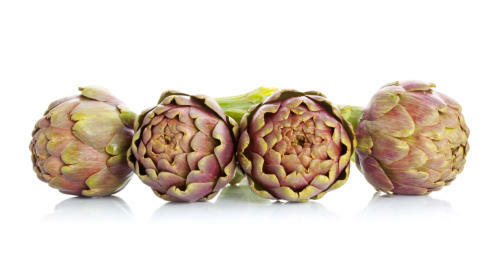 The globe artichoke is one of the oldest known vegetable in ancient history which was considered to be quite exotic. Although it is difficult to locate exactly where or when this plant originated, humans have been eating globe artichokes for well over 3000 years. Historians think it may have originated in North Africa, growing wild but admired only for its spectacular striking flowers. There is Roman literature telling us it was grown for consummation in Italy before 77AD. 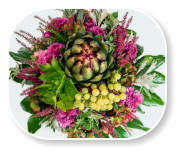 There is evidence that the globe artichokes were present in Australia in the early 1800s. The Cook and the Curator - Eat Your History from Sydney Living Museums, have an excellent blog regarding the history of artichokes. They found that they were advertised for sale in the Sydney Markets as early as 1830. They are also featured in recipe books in the late 1800s. In 1915, the Sydney Morning Herald described them as a ‘well known vegetable to some of us, to others an utterly strange one’ featured in Penelope’s Weekly Notes. A recipe also appeared in the Sydney Morning Herald on November 15, 1905 named ‘A French was to Dress Crown Artichokes'. As the Italians migrated in large numbers to the United States in the early 1920’s they bought with them some of their cherished and favourite foods. Of course, one of them was the globe artichoke. They found that California’s climate was very similar to their beloved Sicily, and so began their cultivation of globe artichokes in the United States. So valued were these vegetables in California that they began the Castroville Artichoke Festival in Monterey in 1947. Each year in May they would choose a woman to crown as Miss California Artichoke Queen. In the early years the artichoke crown went to none other than Norma Jean Baker, who would go on to become the famous Marilyn Monroe. 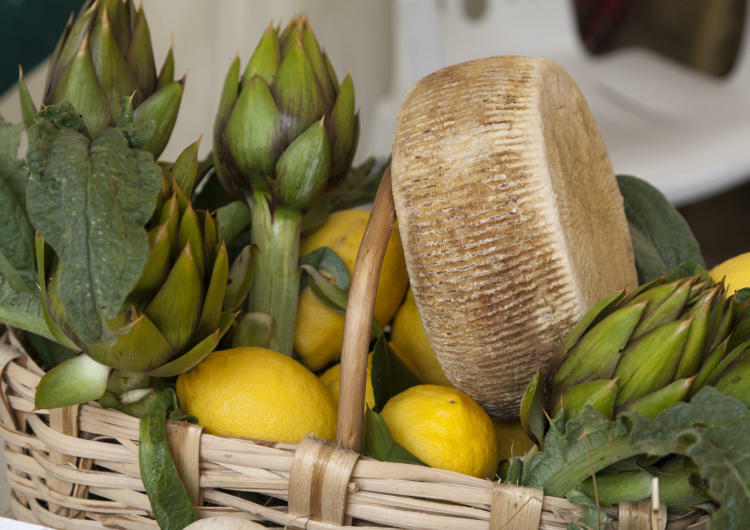 The festival has artichoke parades, entertainment, arts and crafts, games and artichokes dishes prepared in many different methods. 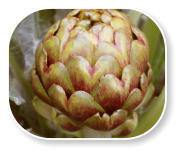 The globe artichoke was extremely valued by the Egyptians who regarded this prized vegetable as a health and diet food. It was available only to the rich who would consume this globe to help liver function after excessive eating and drinking. The Romans not only developed a passion for the globe artichoke, but also used it as a digestive aid, yet again used only by the wealthy as it was not easily accessible. 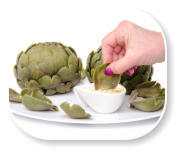 The globe artichoke has a long history of traditional use in herbal remedies in Asian countries. 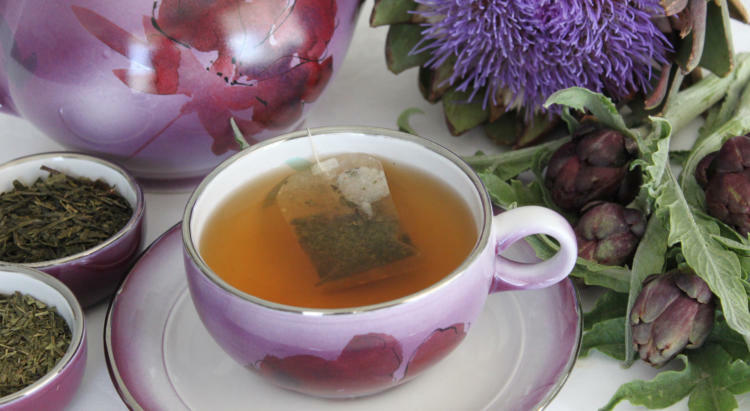 China and other Asian countries have been using artichokes as healing extracts and delicious herbal teas to relieve numerous bodily disorders. 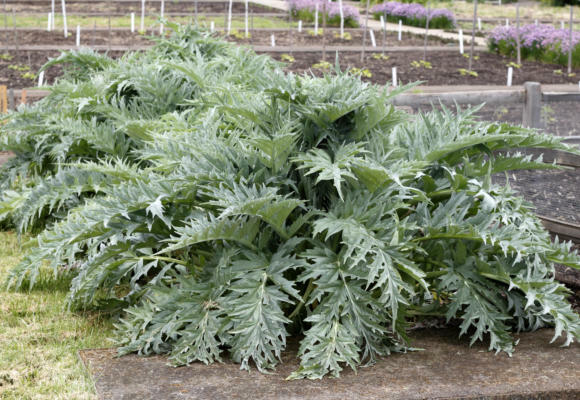 Globe artichoke leaves are also used for juices, dried extracts and natural dyes. 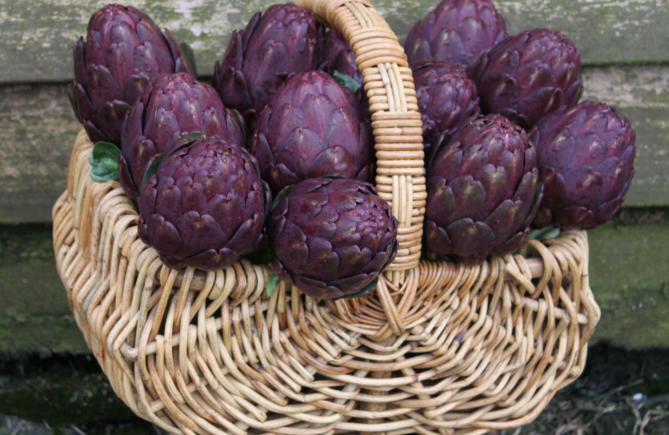 Globe artichokes arrived in France in the 1530’s which were introduced by Florence-born Caterina De Medici when she left Italy to marry French King Henry II. 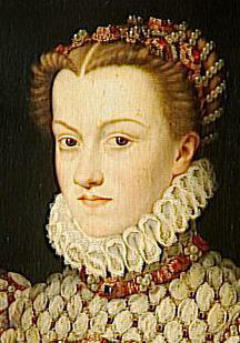 At the age of only fourteen she not only left her hometown to marry the King, but brought with her what is now called the ‘Florentine cuisine’, named after her birth town and later called Modern French Cuisine. This comprised of different Italian vegetables and herbs and also included an entourage of cooks and pastry chefs. Although she changed her name to the French version Catherine De Medicis, her vegetable and herb selection was still mainly Italian foods. 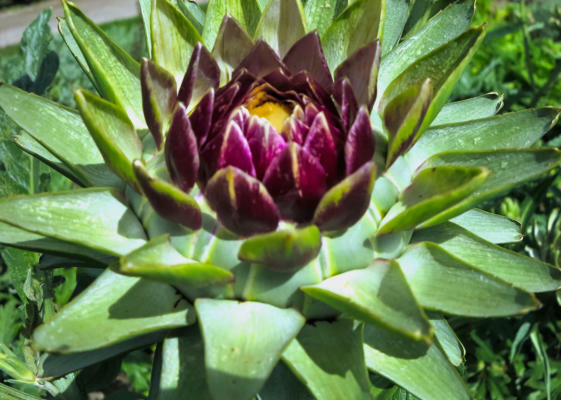 Her love for the globe artichoke was not left behind in Italy, but rather she brought the plants to France to be planted in her garden so she could consume them in her new home. She introduced the globe artichoke to the French people and she encouraged all her staff and servants to eat them, which scandalized French society as the artichoke has a reputation of being an aphrodisiac. 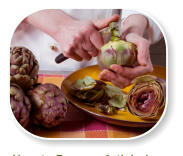 By the end of Catherine’s reign, artichokes had become one the most popular French vegetables. 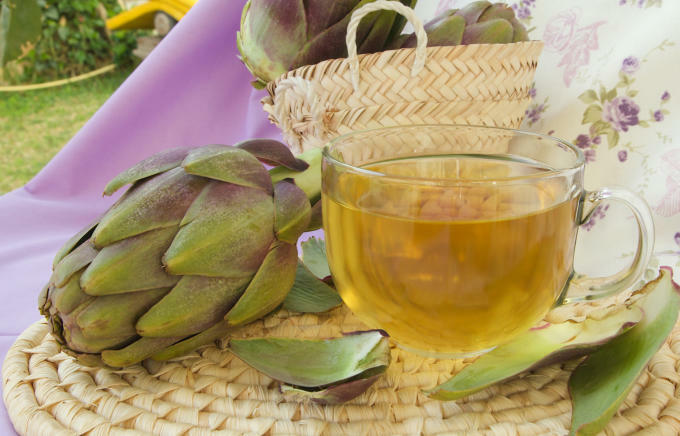 For many centuries Vietnam has been well known for producing very high quality herbal artichoke tea, which is used for liver and kidney disorders, to relieve constipation and reduce cholesterol. This traditional Asian herbal tea called ‘Tra Atiso’ is used as a refreshing health drink at any time of the day. It has a slight liquorice flavour with a mild herbal aroma which requires no sweetener. There is usually a myth or legend associated with most things. The globe artichoke has a few of its own. One of them originated in Greece and this mythology reveals that the globe artichoke has been recognized and used for centuries. The story goes … The God Zeus of Mount Olympus (supreme ruler of all gods) was the God of sky, weather, law, order and fate. His weapon is a thunderbolt which he hurled at those who displease him. Hera, was his wife and sister, but much to her anger and frustration when she was away he was well known for his many affairs. 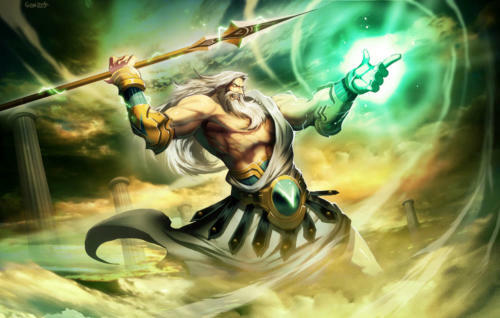 Zeus had come to visit his younger brother Poseidon, God of the sea, earthquakes, storms and horses. Poseidon’s weapon is a trident which can shake the earth and shatter any object. While Zeus was visiting his brother’s home on the Aegean island he cast his eye on a young, stunning mortal bathing on the shore. The attractive woman was called Cynara. Zeus was so overwhelmed by her beauty and her strength, as she appeared confident and unaffected by the presence of the God, that he instantly fell in love with her. He transformed her into a Goddess so she could come and live closer to him on Mount Olympus. His plans were to meet with her when his wife Hera was away. Although Cynara enjoyed being a supernatural, she immensely missed her family and became homesick. Cynara occasionally slipped away to visit her mother. When Zeus discovered this un-goddess behaviour he became extremely angry. In a fit of jealous rage he flung Cynara from the heavens back to earth, this time transforming her from a goddess into an artichoke plant. This plant was created to produce the most stunningly blue-purple flower. 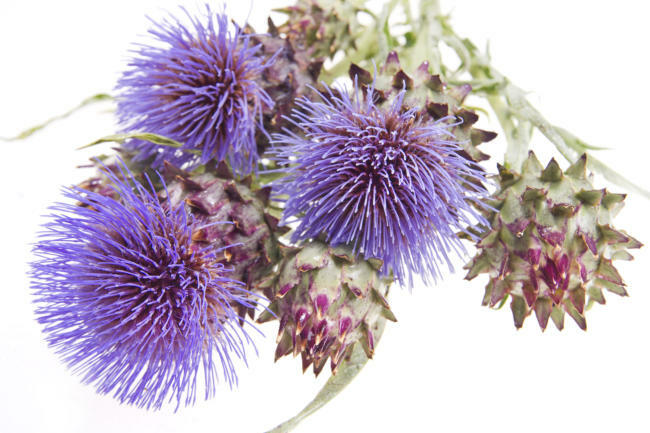 The artichoke resembled a crown-like bud and was covered in thorns to prevent anyone accessing its sweet vulnerable heart. The bud would dry from within only to release an exquisite, spiky, purple blossom, a spectacular bloom to match Cynara’s beauty. Ancient artichoke plants were pretty, fern-like and their flower was incredibly striking but their thorny exterior demanded that they be isolated, as a result of Zeus’ resentment. Zeus expected that no one would attempt to search beyond the tough, fibrous and thorny leaves and so Cynara remained admired but untouched for hundreds of years. But eventually contrary to his wish, and due to either human’s curiosity or extreme hunger, humans did attempt to taste this unique, thorny vegetable only to be rewarded by its appealing flavour. 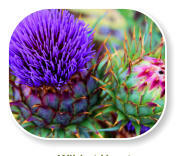 The botanical name for the globe artichoke is Cynara. It was considered to be an aristocratic vegetable and is known in history as ‘food for the Gods’. It was also considered an aphrodisiac amongst the Greeks due to the Zeus legend. 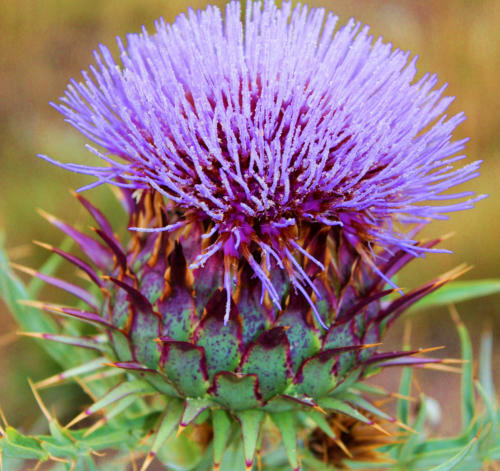 As the globe artichoke is a thistle, the flower’s stamens have been used as a natural substitute to rennet to help coagulate milk and make curds in the manufacturing of cheese. This eliminates the need for commercial rennet which is usually genetically modified bacteria which is derived from animal’s stomachs. 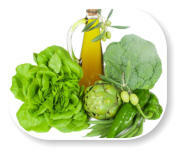 The advantage is that cheese produced with artichokes is suitable for vegetarians. The artichoke provides a distinctively tangy and unique style of soft cheese with pleasant bitter tones. Apparently goat or sheep’s milk is better used with the artichoke rennet rather than cow’s milk. Cheeses produced in this manner have been created in the Mediterranean for centuries, mainly in Spain and Portugal. 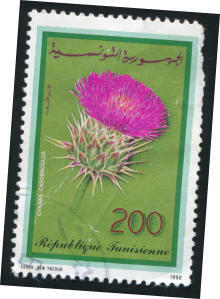 Over the years the globe artichokes become a favourite amongst all European countries and in Arabic societies. It also made its way to England but it was not well-liked for consummation. Instead it was popular as an unusual, fern-like ornamental plant in cottage gardens allowing it to bloom and display its remarkable purple-blue prized thistle flower.